One man reveals how he created 10,000 jobs for autistic people. Want to know how to attract the innovative and resilient employees required to give you a competitive edge in the Fourth Industrial Revolution? Then look no further: this article will teach you about the untapped talent that awaits if you remove the barriers that keep millions of talented people with disabilities outside the workforce. According to the Harkin Institute, a billion people worldwide are affected by disabilities and face an unemployment rate of 80%. As the co-author of the Americans with Disabilities Act, the organization’s founder, former senator Tom Harkin, has a deep understanding of the underutilized talent pool among people with disabilities. In 2017, Harkin launched a call to action to "double employment for people with disabilities" worldwide within the next 10 years. That was his choice. If successful, this drive will add 200 million people to the global workforce and make a major contribution to the UN’s 2030 Sustainable Development Goal 8 of achieving “decent work and economic growth” by 2030. I made my own choice 15 years ago. I had a position as CTO at an IT start-up company, and was responsible for talent acquisition for technology jobs. I needed job-seekers with attention to detail, good memory, pattern recognition skills and persistence, who would be straightforward and get the job done. We did not always succeed in filling vacant positions. My career changed after my youngest son was diagnosed with autism at the age of three. I became active in Autism Denmark and met many young adults on the autism spectrum who were brilliant in my eyes. They had all the talent that I was looking for as CTO, but none of them had a job where they could make use of their talent, as they did not have the social skills to excite the recruiters. I learned that the risk of unemployment or underemployment for my son would be around 80% if nothing changed for the 1% of people affected by autism. I saw a labour market moving towards high social skills as standard requirements at any job description – and I chose to question the rationale of a labour market favouring mainly generalists. If you adjust work conditions, you can activate a person’s hidden talents. My son inspired me to become a social entrepreneur and to launch Specialisterne (Danish for “the Specialists”), with the purpose of solving the social challenge of unemployment through a business model that creates environments where autistic people can excel. After initial success, I founded the not-for-profit Specialisterne Foundation and set the goal of generating a million jobs for autistic people and those with similar challenges. The Specialisterne concept has inspired many entrepreneurs to do something similar, and many large companies have started autism employment programmes with initial training by Specialisterne. Today the movement has spread to many countries and large companies around the globe, such as SAP, Microsoft, IBM, EY, PwC and JPMorgan Chase, with a next wave of businesses adapting their management models to include autistic people. In total, we estimate that 10,000 jobs have been created for autistic people so far. Now we are preparing to scale exponentially to reach the one million job goal by 2030. The successful employment of autistic people is just proof of concept of a wider principle for employing people with disabilities. 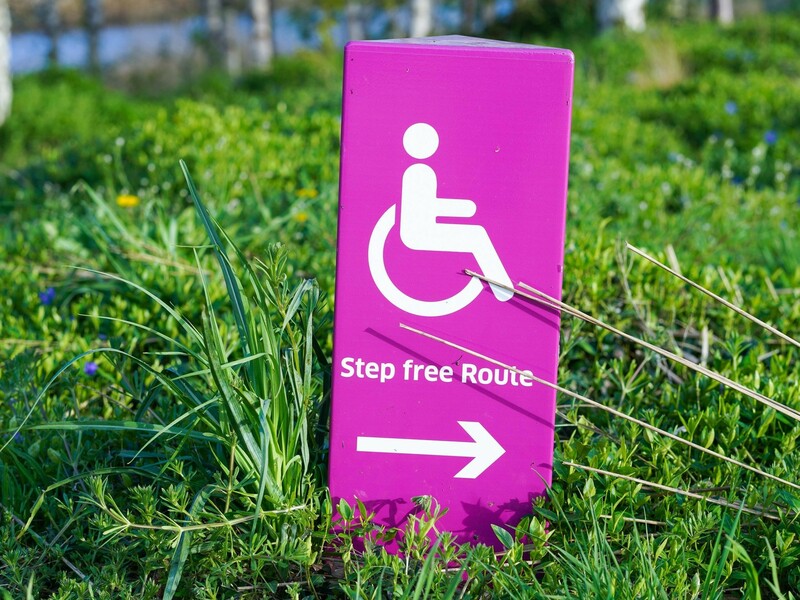 Traditionally people with disabilities have mainly been known by their impairments, by how they deviate from the ‘norm’ – this has been called the medical model. Today, there is a social model for how to understand disability as an evolving concept, which results from the interaction between people with impairments and attitudinal and environmental barriers that hinder participation in society on an equal basis with others. Consider the dandelion. In the context of a monocultural lawn, it’s a nuisance. Place it in a different context, such as a kitchen garden, and the picture changes completely. In the lawn the dandelion is a weed, while in the kitchen garden it is an herb. Context has a similar impact on employees. If you adjust work conditions appropriately, you can activate a person’s hidden talents. The latest US stats show a slight downturn in jobs for people with disabilities. 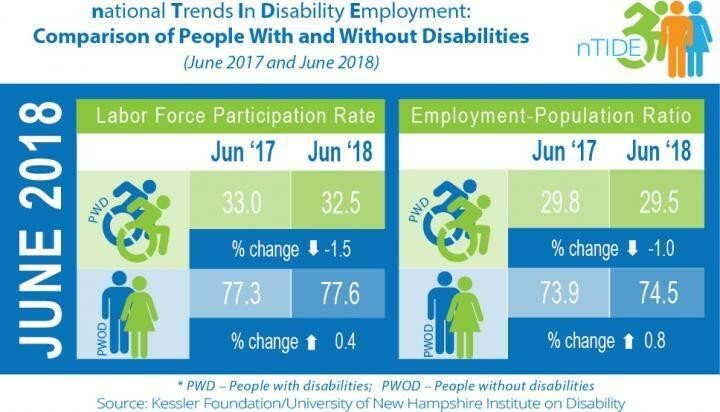 This is not just theory: results from many employers show that it makes good business sense to provide inclusive work environments for people with disabilities. You will get the work done, and also harvest positive side-effects such as higher engagement, higher retention rate, joy of work, sense of purpose and improved management skills in the workplace. From a community perspective, the individuals will be able to realize their potential, while families will be less constrained and government will have new taxpayers. Now it is your time to make a choice. The World Economic Forum has stated that “the need to build a more inclusive society must include the estimated 1 billion people in the world living with a disability” – and bolstering that inclusion will be a chief concern at the Forum’s Annual Meeting in Davos later this month. In the Fourth Industrial Revolution, you should hire the people who will make your company innovative and resilient. Instead of hiring individuals based on a current snapshot of resources needed, you should invest in inclusion to create diverse teams that will prepare your company for competition in a global knowledge-based market economy. The world needs all the talent it can get – we can’t afford to set aside talented people who are different. In fact, their different perspectives are desperately needed if we are to innovate our way through today’s global challenges. When we discuss globalization 4.0 in Davos, let’s show leadership in sustainable inclusion of persons with disabilities in companies and in communities globally.